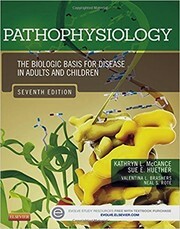 Preceded by Pathophysiology: the biologic basis for disease in adults and children / [edited by] Kathryn L. McCance, Sue E. Huether. 6th ed. c2010. 9780323088541 PDF is available as a free download.